Can Fictional UIs become a Reality? Since I am experimenting with different ideas (implementations) of what a sci-fi UI should look and behave like, I won’t know exactly how many parts this blog series will be. So I hope you will join me in this journey towards the creation of a prototype and API capable of making science fiction UIs a reality. You might be wondering if there is something (UI framework) that already exists. Shouldn’t we just use UI frameworks that already exist? If you’re familiar with the excellent post from Jeff Atwood’s 2006 article “This Is What Happens When You Let Developers Create UI“. He talks about how most software developers aren’t really good at creating UIs. Is this really true? While I agree with most of his statements, I still believe anyone with enough passion will figure out a way to achieve their intended goal (within reason of course). As for me, most of my design choices are mainly through trial and error. I think UI design is very much like clothing where designs can be either trendy or classical. Through the years many designers have made UI frameworks to build UIs that look great and are extremely functional, however they can look rather primitive (IMO) compared to the science fiction UIs that we see in movies today. When going the other direction science fiction UIs may look futuristic, but they don’t exactly map to anything real or functional. Assuming you’re a developer (with some UI skills) and wishes to build sci-fi UIs the next section I’ll talk about what a sci-fi UI might look like or how it might behave. As a kid I remember how my mind was simply blown away when I had seen futuristic and technologically advance civilizations on the big screen. Looking back at old sci-fi movies you will immediately realize how cheesy they were compared to today’s movies. Hopefully I’ve given you compelling reasons why I would like to create such an API that would enable developers to easily style and create Sci-Fi looking UIs. As a developer/designer I would like to bridge the gap between Sci-Fi UIs and real UIs by listing some general requirements to start things off. As always feel free to comment and let me know what you think. This entry was posted in Custom Controls, Data Visualization, JavaFX and tagged avengers, graphics, hud, JavaFX, movies, sci-fi on March 11, 2019 by carldea. 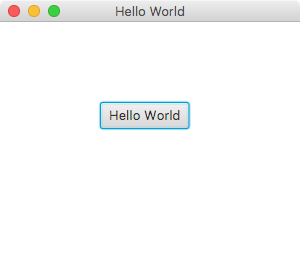 In this article you will learn how to use JavaFX’s animation APIs to create callouts. You can see a demo of these callouts in action on my Youtube channel at https://www.youtube.com/watch?v=XTHbB0LRdT4. This entry was posted in JavaFX on October 15, 2018 by carldea. This is round 3 of the Shadow Fields vs Property Accessors Interface. If you are new and not sure what the fuss is about please check out my previous post or my first post on the topic of saving memory when developing JavaFX applications. As a Java developer my main concern is having a good balance between performance, memory usage and lowering boilerplate code (ease of API use) when developing JavaFX domain models. Usually, application frameworks provide a model view controller(MVC) or presentation model pattern to separate UI code from domain objects. In fact what comes to mind is that domain model type objects should be easy to create or generated (IDEs). In this blog entry you will see results of Round 3 with two parts. Part 1 was implemented using an idea from Marcel Heckel and Part 2 is an implementation that I eventually settled with based on performance, memory usage and ease of use. Disclaimer: Use any of the code at your own risk. This is purely experimental and should not be used in production. This is a work in progress. Although, the last round (round 2) indicated that my Property Accessors strategy was slightly better in memory consumption than the standard (fat) property objects strategy, it was still disappointing in terms of performance when creating 2,000,000 objects of an Employee type class having native type objects. I still was not happy with the memory usage of my round 2 implementation compared to Dirk’s implementation. If you just care about my final results of Round 3 just skip to the Results section. In round 2, I used a hash map lookup that can be quite slow as more and more fields are added with a O(1) time complexity (search). Interestingly, Marcel Heckel commented to suggest a simple approach of creating an indexed array of objects which will not not only save more memory but will be much faster. Compared to a key/value pair lookup a direct index access to a field is definitely the way to go. Although, Marcel’s code is faster, it still takes up more memory than Dirk’s Shadow Fields code. The extra memory is actually taken up by the preallocating of an array that will hold the values for the each field. Even if they are all nulls the array itself is created for each employee object. I implemented Marcel’s strategy here (line 23). Let’s look at the results of the array of indexed fields strategy. Shown below is using a mix of Marcel’s indexed array idea and my way of specifying the property name using enum types to denote fields as property fields. Objects that aren’t using JavaFX properties compared to standard (fat) objects with all fields as JavaFX properties. This implementation uses an array index for each field and an array to hold each value. Above you will notice the check box is unselected to indicate not to create JavaFX properties on the domain object (not using the xxxxProperty() methods). You’ll notice that the performance has dramatically increased compared to round 2’s code and memory usage also reduced. In the figure above the Property Accessor interface is at 16MB more than the Shadow Fields’ pattern implementation. In part 1 of thin objects performance and memory usage Shadow Fields is the clear winner. However, Shadow Fields is still not as clean to implement. Another thing to note is that Property Accessors interface is just shy of 14 milliseconds for 2 million objects! As we’ll see later in Part 2 Bringing back Private Instance Variables as Fields the Property Accessors interface will really shine with memory usage. The following is the results when all fields of an object is using JavaFX properties. Objects that are using JavaFX properties compared to standard (fat) objects with all fields as Javafx properties. This implementation uses an array index for each field and an array to hold each value. Here, you’ll notice the Accessor columns (Property Accessors interface) at 2 million objects performs at 916 milliseconds with a 576 MB use of memory. In this case the standard (fat) object is the winner as far as memory space at 544 MB. Shadow Fields wins on performance on every round so far. One minor detail with Marcel’s code example (in the comments section) is it doesn’t take into account the string name of the property when creating a new property object instance. For example the following statement shows the variable totalProperty with the property named ‘total‘ which matches the totalProperty() method. Firing the name of a property during change is important for reading code, testing and tooling. To have both a named field and an index like Marcel’s idea, I simply created an enum declaring each field property. These enums are created on the Employee class. Above you will notice how the model Properties array will be created based on the number of defined fields (enum FIELDS). I use the FIELDS.value().length to define the size of the array. Also, the PropertyAccessors interface (Part 1’s implementation) forces the developer to implement the getModelProperties() method. Here, I just returned the modelProperties‘ reference to an array of objects. It isn’t very pleasant to ‘have to‘ implement an array and a getModelProperties() method . In part 2, of this article, I implemented things differently where the developer isn’t forced to implement a modelProperties array and a getModelProperties() method. I will solve this issue where the code will look much cleaner and performant (user of the API’s perspective). Part 2, I will be adding private instance variables back into the Employee class (EmployeePropertyAccessor) to hold the field values instead of an array like in Part 1. My idea was to have a field variable be mutually exclusive to either point to a native object type or a JavaFX property, thus saving memory compared to the Shadow Field pattern code. Since, the Shadow Fields code uses two variables to represent a field value, it will have an extra reference which will inevitably increase its memory when the object uses properties. As you can see below the code will look similar to part 1, but also will have a static block to register the property fields in the class. This is important because some instance variable you may not want participate as JavaFX properties. // register fields one time. The code listing above does some interesting magic when calling the registerFields() method. The FIELDS enums’ ordinal values are reassigned using reflection giving each a new id as an index into an array. This provides immutable enums while also containing a unique identifier for each field to be accessed fast via an index. Since enum are used to represent fields to be used as properties, the ordinal values are meaningless in other contexts. This means: Who cares, if the ordinal value is reassigned on these declared enums? They are only used for this purpose only ‘to register fields‘. Shown below is the test results using the new implementation of the Property Accessors interface API. The test below shows when not using property fields compared to the standard fat object. A test that compares standard objects (all fields using properties) vs objects using native objects. Property Accessors interface API now uses instance variables as fields instead of a reference to an array. As you can see above the new implementation of the Property Accessors interface is the clear winner for memory usage and ease of use. The performance is slightly slower than part 1’s implementation but the savings in memory is worth it. You’ll notice that the Shadow Fields’ memory usage is 16 MB more than Property Accessors’ usage. Test results of performance when objects aren’t using JavaFX properties. Smaller number (in milliseconds) is better. Test results of performance when objects are using JavaFX properties. Smaller number (in milliseconds) is better. Test results of memory usage when objects are not using JavaFX properties. Smaller number (in megabytes) is better. Test results of memory usage when objects are using JavaFX properties. Smaller number (in megabytes) is better. Based on the results my goal was definitely achieved (IMHO) where I originally wanted code to be simple to read and easy to implement when objects may or may not use JavaFX properties (with the added benefit of saving memory when fields aren’t using JavaFX properties [native types]). Although, performance-wise Shadow Fields won on all of test runs, Property Accessors interface wasn’t far behind. When not using properties Property Accessors interface beats the Standard object strategy by a mere 5 milliseconds when creating 2 million records. When it comes to memory usage with creating 2 million objects and when the strategies were not using properties as fields, the Property Accessors interface is clearly the winner with a savings of at least 16MB compared to the Shadow Fields pattern and a 240MB savings compared to the Standard Properties code. Last, but not least is the results when objects are using properties as fields, Property Accessors interface ties with the Standard objects strategy regarding memory consumption. The Shadow Fields strategy uses is at least 20MB more than the other strategies. Feel free to comment and subscribe. Enjoy and happy coding! This entry was posted in JavaFX on April 10, 2016 by carldea. If you guys haven’t noticed a (light-hearted) showdown between Dirk Lemmerman and me, let me quickly mention how we got to this point. 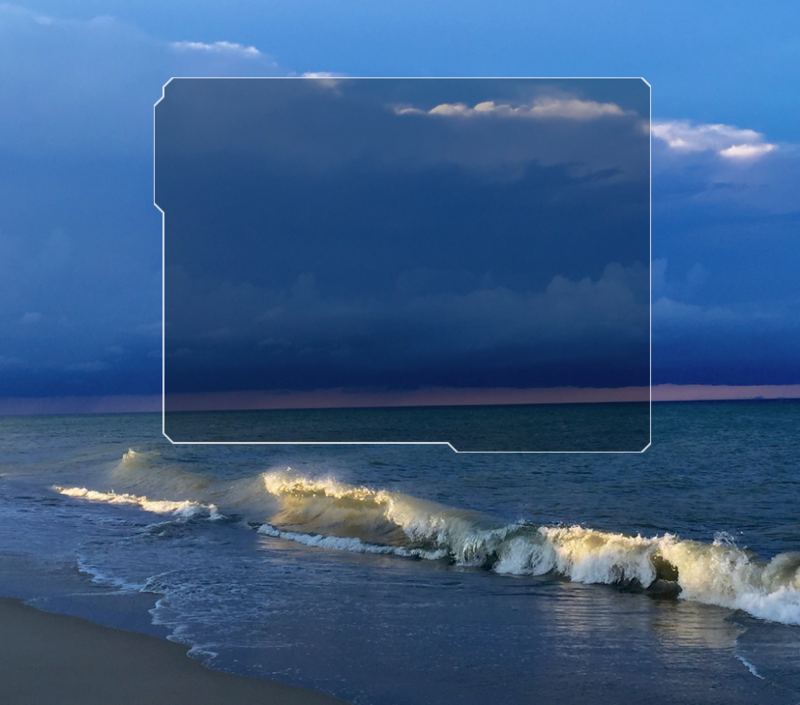 For starters, Dirk created a JavaFX tip 23: “Save Memory Shadow Fields for Properties” to help application developers save memory when using JavaFX Properties. Pretty impressive knowing that you can save memory when objects aren’t needing to use JavaFX Property objects. While looking at the code I couldn’t help but notice boilerplate code that drove me bonkers, so I decided to make a simple API that also took into account the interesting Shadow Fields pattern used by Dirk’s example. The API I created aka Property Accessor Interface comprises of default methods that easily allows developers to implement the interface as opposed to extending an abstract class to avoid Java’s single inheritance rule. To see the Property Accessor interface code I blog about it here. To my surprise Dirk created yet another blog entry to benchmark all three approaches. Below is the chronological order of the blog posts thus far if you are keeping up with all the fun. My attempt to save memory and reduce boilerplate code. A benchmark application to test the three approaches of objects having properties and raw datatypes for fields. A revisit of the Property Accessor Interface to reduce the memory usage by centralizing a map of values. As it turns out my implementation was the worst of the three even with the bloated object with already instantiated property fields according to post #3 above. 😦 Because I rushed into things and didn’t know the issue until Dirk’s post #3 above. Well, I’m not ready to wave the white flag and besides I still have a few tricks up my sleeve. Next, you will get to see what I did to reduce the memory usage of the Property Accessor interface strategy. To see the code changes please see the code at the Github here. The only change I made was centralizing the Map containing the values. As you can see below the memory is much lower compared to Dirk’s post #3 above. However, event though I didn’t beat Dirk’s implementation using shadow fields I did slightly better than the standard object approach. An updated Property Accessor Interface implementation using a centralized map. Although I’ve only made a simple change by removing the hash maps from every object and centralizing all values to a single map the Property Accessor interface still didn’t trim memory as low as the Shadow fields technique. I may explore other techniques such as weak references or take a look into memory mapped files. I doubt I can reduce things any further, but I believe a relatively small to medium application could use the Property Accessor interface to rapidly build apps. They (developers) could use proper pagination to avoid large lists. One last idea would be to create an annotation that could even reduce the boiler plate code. Let me know ow what you think? Any suggestions? This entry was posted in JavaFX on April 5, 2016 by carldea. A TreeTable control holding employees. In the world of JavaFX the Properties API allows UI developers to bind values to UI controls. This capability is surprisingly easy, however when object models use properties too often an application can quickly run out of memory. I usually will write two separate objects such as a pojo class and a presentation model object. This technique is often used in Swing based applications. From a JavaFX perspective, you could just create one object with properties to allow observers (listeners) to update values. This sounds fine right? Not exactly because the main issue is when all of the object’s (pojo) attributes (fields) are properties which also wrap actual values the programmer (user of the api) may not want to bind or use properties at all, but only want to access the actual values. So, what is a JavaFX developer to do? An interface providing accessor methods to provide smart determination of actual object value or the JavaFX property wrapper object. The user of the API must implement one method called getModelProperties() which returns a Map of property name (String) and value (Object). The value can be an actual object or a Property type object. The code below also will support Observable lists. * capability of the shadow fields pattern. * values will be wrapped into a property object. * Default methods for Observable lists are provided too. * Created by cpdea on 4/3/16. For the accessor methods such as getters, setters and xyzProperty() you will notice the calls to the default methods in the PropertyAccessor interface. * A hybrid domain and model object using the shadow field pattern to save memory. So, there you have it, a solution to in an attempt to eliminate two variables and other boilerplate code. I haven’t actually tested the code with a large amount of data, so maybe in another post or some lucky reader will create a test comparing all three (object with all properties, Dirk and mine) implementations. The possible downside to this approach is probably serializing the object when used with RMI servers. I’m sure there are other possible downsides, but for now most use cases this might be easier and cleaner code to deal with. This entry was posted in JavaFX on April 4, 2016 by carldea. Before beginning this book review it was brought to my attention that I had to disclose lawyer speak in order to comply with FTC rules relating to bloggers. It is the year 2016, and by now we should be at more than a billion connected devices related to the Internet of Things (IoT) which numerous firms have predicted. If you’re like me a person who loves to tinker and discover things you have probably heard about the Raspberry Pi. On my journey to learn all things Pi I’ve come across many books related to the Raspberry Pi that utilized various programming languages, however when it came down to the Java language the books were pretty scarce. Look no further, a new book has finally arrived that focuses on Java technologies to drive your Raspberry Pi projects. In this blog entry I will be reviewing the book Raspberry Pi with Java: Programming the Internet of Things (IoT) by Stephen Chin with James L. Weaver (Oracle Press). Technical editor by Mark Heckler. The two book authors are some of the most respected in the IoT, Java and JavaFX communities. Both Stephen Chin (Oracle) and James Weaver (Pivotal) are Java champions who are renowned speakers at many major developer conferences worldwide. The technical editor Mark Heckler (Pivotal) is also a well known Java geek who also speaks at many prominate conferences around the world. For starters the authors begin with a very good introductory and summary of the chapters. After the summary of the chapters the book points out two links to download the source code for the book. Other programming books with source code usually point to their publishing company’s website. Fortunately, this book provides two places to obtain the source code. One at the publishing company (www.mhprofessional.com) and the other is hosted at the Github (https://github.com/RaspberryPiWithJava). The authors gets you started by listing all the component parts and software necessary to develop on the Raspberry Pi. The instructions on how to setup and configure the Raspbian OS are thoroughly explained. I like how the authors discuss how to connect all the different Raspberry Pi models to your network. Keep in mind that the book was written prior to the announcement of the Raspberry Pi Zero model, so the book has no mention of it. In chapter 1 they show you how to connect your Raspberry Pi using Ethernet or Wireless connection. After, successfully connected, the authors show you how to ssh into your Raspberry Pi remotely from the three major OS platforms (MacOS, Linux and Windows) through your terminal (command-line console). Once able to ssh into your Raspberry Pi you will be able to code/compile and run a Hello World Java console application. In Chapter 2, the authors begin by walking you through setting up the NetBeans IDE to remotely debug live running code on a Raspberry Pi. Once you get comfortable with the developer workflow, the authors start out with a cool (hot) project on brewing the perfect cup of coffee! When beginning a project the authors always start off with a Bill of Materials detailing what and where to buy parts for a project. In this chapter it delves into APIs (JSR 80) that allows your Java code to communicate with USB ports (usb4j). The authors show you how to read information from a USB port on an electronic scale device. The scale is used to measure the weight of things such as ground coffee beans. This chapter ends with the discussion of the topic of Commercial Licensing and FOSS. Learning about licensing options can help you navigate through legal matters if you decide to go commercial with your Java/Raspberry Pi product. The authors goal in this chapter focuses on how to use GPIO (general purpose input output) pins. The GPIO pins are how the Raspberry Pi talks to analog and digital components such as LEDs, DC motors and light sensors. In this section you will learn the fundamentals of electronics such as power, Ohms law and what resistors you will need to purchase, etc. I love one of the tip blocks on “What is the Worst You Can Do to Your Raspberry Pi“. This tip allows you to not feel intimidated when approaching a Raspberry Pi by explaining how rugged the Raspberry Pi computer actually is, and how to prevent mishaps or damaging the Pi. The authors mention two Java libraries commonly used for accessing GPIO pins on the Raspberry Pi. One being the Device I/O library and the other Pi4J. In this section the benefits of using each library are fully detailed. This chapter is very hands-on by creating a basic project using LEDs on a breadboard that can count down in binary. Many Fritzing diagrams are presented for step-by-step instruction on how to wire-up components properly. In this chapter the authors mention helpful troubleshooting tips such as Java code to solve the button debouncing issues when dealing with physical buttons or switches in your circuits. Lastly, this chapter provides bonus content that teaches you how to measure and compare performance metrics when using the two Java libraries Device I/O library and Pi4J by turning LEDs on and off very rapidly. Here, both memory-mapped access (Low-level) vs Sysfs access (Higher-level) were compared. This will help you decide which strategy is best depending on your use-case. Now with the fundamentals of the Raspberry Pi, Java and basic electronics out of the way, you can now tackle a magical project that will astonish friends and family. This project involves creating a magicians top hat with the ability to know what playing card was chosen without seeing the face of the card. The authors teach you about how to configure your Raspberry Pi to enable I2C, SPI, and UART protocols. This chapter focuses on learning about NFC/RFID devices such as smart card readers. Beware: This section involves soldering so get your flux on. Here, you will learn how to communicate with an RFID reader’s breakout board. This project also teaches you about compactness and portability (cordless) because you will be hiding stuff in a top hat. To make things portable the Pi will use a WiFi adapter and USB cell phone charging battery. The authors will also take you through native libraries required for Java to communicate with the NFC device so don’t be alarmed if you encounter Make files and permissions (typical in the Linux world). After learning skills for compactness and portability from chapter 4 the authors show you how to reuse your skills to build an autonomous robot! This should be the very reason to get this book. In the Bill of Materials all the parts (Makeblocks) you will need are detailed thoroughly. The robot will be able to anticipate obstacle while capable of following a lined path on a floor surface (Delivering mail comes to my mind). This chapter is focused on sensors, motors, and mechanical construction. With sensors the authors take you through how to use infrared and ultrasonic capabilities. When using motors this chapter explains pulse width modulation (PWM) to control the speed of the robot. The Java code examples are quite straight forward and concise. Not a coffee drinker? but a Java fanboy well, this project is for all the tea lovers (including you) out there! This project is building a tea station to steep the perfect cup of tea. In this chapter the author discusses electronic scales (again) except ones having better precision due to tea leaves being extremely light in weight. The author goes on to discuss about temperature sensors that can determine how hot the tea should be when below the temperature of boiling water with very good accuracy. The author delves into serial (RS232 to TTL) communications with various vendors selling electronic scales (In chapter 2, USB was used). Learning this skill is invaluable because many older devices still use serial communications, so you can adapt your ideas with just about anything. In this chapter the author really takes things to the next level compared to chapter 2 (brewing coffee), because he teaches you how to implement a snazzy JavaFX UI on a touchscreen device! Just like the chapter on brewing coffee the authors have an incredible depth of knowledge on teas and types of teas. takeoff() – Causes drone to start and take off. land() – Land and stop. Whoa!? If you are an 80s or 90s kid who enjoyed arcades and game consoles (I know I did) then this chapter is about creating an Nintendo Entertainment System (NES) game console! Most of the parts from the bill of materials can be obtained from the popular electronics company Adafruit. The author teaches you how to build a game controller, attach a speaker, and attach a LCD touch display. This project will involve learning how to connecting GPIO pins to the Kippah board to control a touchscreen display. The author walks you through using a NES emulation Java library halfNES by Andrew Hoffman. As most of you know when dealing with emulators it isn’t legal to play game ROMs of popular games back in the day, unless you actually own the old game cartridge, so the author suggest heading over to a site having free games you can play. I’m sure if you own Mario Brothers you can get the game ROM and try it out. The author ends the chapter with more hacking tips such as overclocking your chip to increase the performance of your Pi. It’s a game so you need it to run fast! After you’ve learned from chapter 8 on how to build a game console, this chapter will show you how to make a portable hand-held game device just like a Nintendo Game boy! The author is thoughtful in discussing about the pros and cons on various 3D printers and existing DIY communities at large. This chapter points out all the necessary software to print parts for your hand-held game device. The author provides great illustrations to step you through creating a polished product. This book has opened my eyes to innovative ideas using Java with the Raspberry Pi. The content is well organized and easy to follow. Often other DIY books have difficulty explaining the integration between hardware and software, but this book blends the two together elegantly. This book is very definitive in terms of the numerous topics, vendors, components, comparisons and implementation strategies. The authors hit on practically every topic relating to how to command and control (many types of) devices. A good number of projects are very hands-on with an emphasis on the engineering side of things as opposed to the software side (solely a software developer). If you like to build cool gadgets and comfortable with the Java programming language I urge you to get this book. My only issue (tiny) is the paperback book’s illustrations are in black and white (gray-scale) which can make it difficult to see things such as colored resistors in the Fritzing diagrams or JavaFX UIs (User Interfaces). I believe the PDF version might be in color, but I’ve not seen it yet (just a hunch). But, overall I give this book a two thumbs up. By far, this book is the most comprehensive book combining two great technologies with a plethora of amazing DIY projects to date. This entry was posted in Arduino, Books, IoT, JavaFX, Raspberry Pi and tagged coffee, diy, electronics, embedded, iot, Java, JavaFX, robots, smart home on February 7, 2016 by carldea.